Creative furniture designs go beyond being only original rather they cross boundaries of industrial, furniture and architectural designs by using new methods and materials along the way. In this round up, we are presenting a collection of some extremely creative furniture designs that stand out from the rest. So to inspire you, here we are showcasing a beautiful and attention grabbing collection of creative furniture designs that reek of creativity. Gratuitous to say that the furniture industry is always filled with inspiration and novelty, but the current trend of using creative furniture is focused on portability and usability rather than form and designs. Here is the complete list. So what do you think? What did we miss? Which furniture design do you like the most and why? Leave us a comment and let us know what you think about this design inspiration. This bed set inspired by old car design looks quite interesting and will definitely add a unique look to your bedroom. 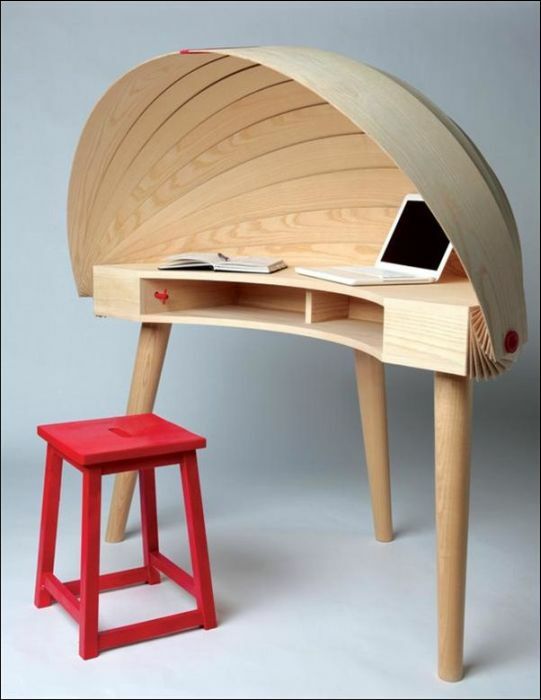 A quite brilliantly designed workstation for those who get bored with ordinary sitting arrangement. Creative bookshelf with a sitting area in it so that all your reading material will be in your access. Hide your personal belonging in this cabinet so that no one can find them. The table also looks beautiful as well. This bench is called Bench of Thought as it contains a large space to put your books in it and use it as bookshelf. This creatively designed sofa not only gives you comfort seating but also gives you enough space to hold your phone, books and other items. You can have this bed for your kids as it appeals them. Moreover, wheels allow you to move it anywhere you want. Another creative bookshelf with sitting area so that you can easily read and enjoy your study. This furniture is inspired by a car and gives the impression as if you are sitting in a car. Very beautiful garden furniture that can enhance the beauty of your garden. An innovative table design that is totally different from what you have seen in the market. This is another excellent design for a table that can fit in a way that it looks appealing. This is a book shelf having a cute and amusing face. You will enjoy putting your books in this book shelving. Another brilliantly designed bookshelf that has been given the shape of the United States map. Simple, neat yet creatively designed wooden crates will help you a lot and also add beauty to your interior décor. A small bookshelf with a different and interesting design having capacity to hold small stationery items as well. These comfortable chairs can be placed in your living room to make your guests feel comfortable. Make yourself comfortable while sitting on this innovative sofa. These creatively designed wooden tables and racks are for increasing the beauty of your interior décor while giving you enough space to fit in your belongings. This creative table can be easily assembled and de-assembled as per your needs saving space, if you are living in a small house. This Feel Seating System Deluxe is made of 120 soft and extremely pleasant balls, and has number of positions as wide as the imagination. You can sit on it, lay and relax or just lounge on it. This creative and unique chair is made up from bamboo fiber plywood and looks extremely appealing. With this type of innovative furniture, one can easily enhance the interior look and feel of his house. Quite unusual design for a picnic bench which is constructed quite elegantly from bent timber. You can use this picnic table to share meal and also can use it upside down as a picnic bench. Strucchair is a hardwood structure built from lath elements organized in kinetic geometric shape, and it looks quite innovative yet appealing as well. This long form library is designed in such a way that it encourages users to immerse themselves in the art of reading as it provides a complete environment in which you have proper lights, movement as the resources to carry on your study. This table comes with an unstable surface to give you enough room to turn it over and personalize it for different purposes such as graphics, games and messages. Use this creative furniture as book shelf or seating arrangement. You can rearrange them the way you want and save plenty of space in your room. Quite interestingly built furniture that can be used as book shelf or beer case whichever you prefer. 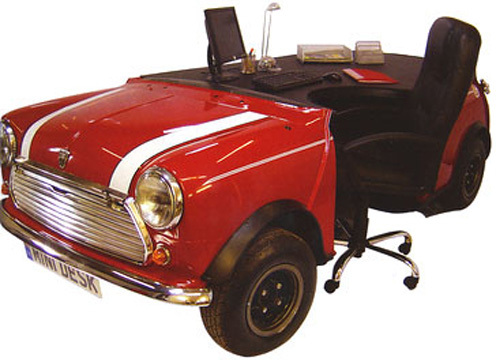 This is a moving workstation giving a boring office environment a completely new and thrilling look. Fill in the emptiness with your belongings and give the silhouettes’ meaning a completely new shift. An interesting sofa set that can be placed with a wall to create a climbing effect. An innovative and creative dining table that can give your garden a complete new look. You can use this bench to place your belongings as well while taking rest. 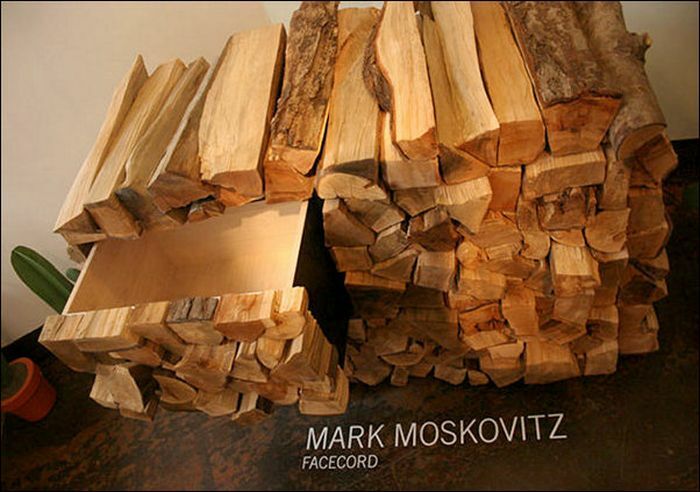 This is another creative example of furniture that stands out from the ordinary furniture. Extremely innovative table design to be placed in your office or study room. Cover this creative table with a table cloth that is made up of cheese and butter. Here is an unusual design for a bed. We are sure that you will like this design. Bookshelf and a sitting arrangement offer a complete environment for study. This sitting arrangement can be placed in your living room and also in your garden. You would not have seen such innovative design before. Add this to your living room and give your room a ravishing look. Very neat and clean design for a table that will mesmerize the onlookers. With this creative furniture, you can hang your belongings as well as can also place your belonging in the empty spaces. Another simple, minimalist and creatively designed workplace for creative minds. 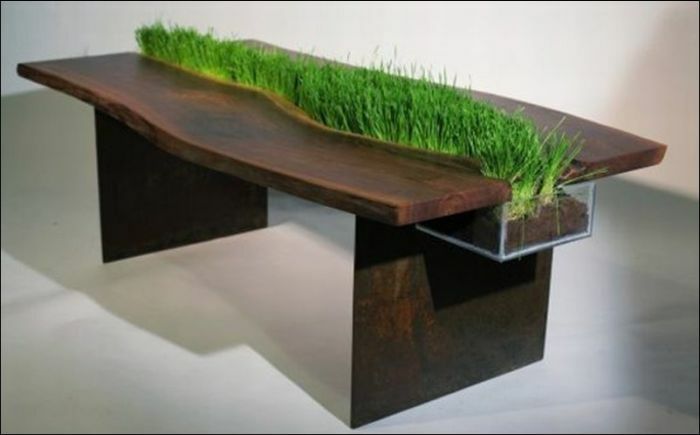 This is nature inspired or you can say eco friendly table to add a beautiful feel to your décor. World class creative furniture’s collection. All designs are really stunning !! Wow… absolutely wonderful collection. The best way of enhancing and enriching the home..! So many awesome pieces! Love the US bookshelf! Wow!! These are really igneous ideas and also stylish collection. All are looks very awesome designs but, mostly love long form library and innovative sofa. Choose best one design from all of them is very difficult. I am so crazy about all these unusual kinds of furniture. However all the time I am trying to buy a piece for myself, I fail as it turns out to be too edgy for my classic apartment. I like the design they represent in this video http://wowmp3.net/watch/30q4wJbbYV0/Strangest-kinds-of-furniture-provider-and-most-creative-spaces I think it’s something incredible, what do you think? Wow!!! Amazing furniture designs. With these kinds of furniture, one can enhance the look of their home or office.